Hanami (cherry blossom or sakura viewing) time is here at last! 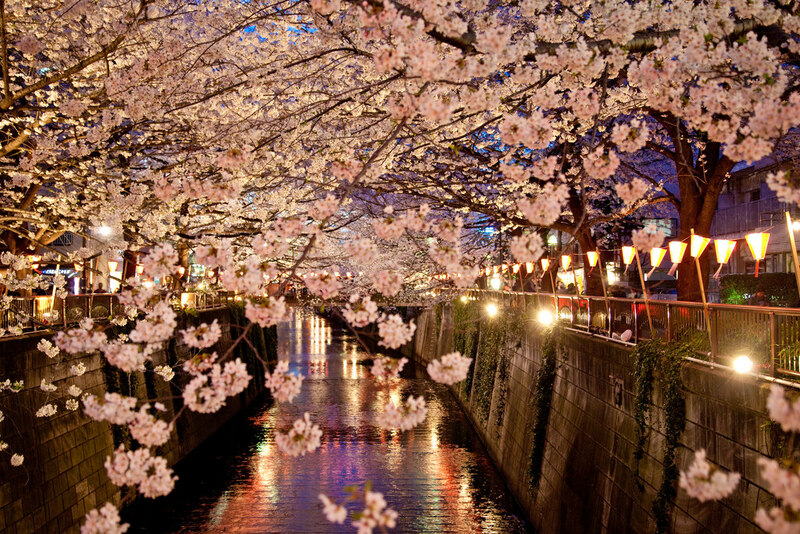 Japan celebrates cherry blossoms and the coming of spring with a passion unmatched around the globe. 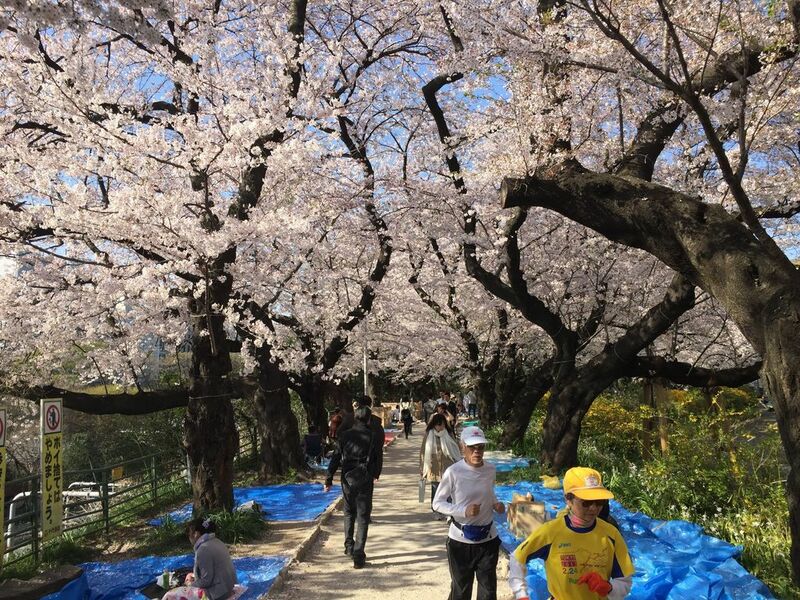 You can enjoy sakura season in many different ways -- big, boisterous parties in famous parks, quiet moments watching the petals fall at out of the way places, walking tours, bus tours and just plain old random wandering. 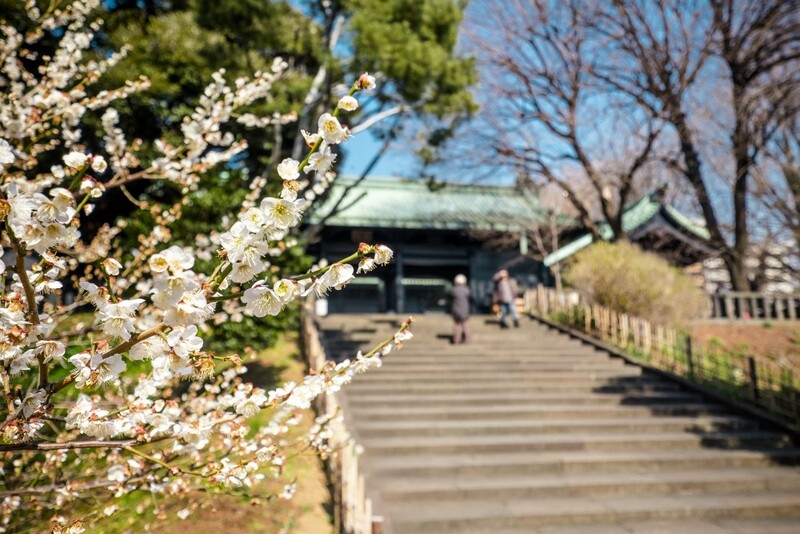 You can even combine hanami experiences with visits to famous temples and shrines as most have planted their own gorgeous cherry trees over the centuries. What is your favorite spot for hanami? Why is this your recommendation and what is special about this spot? This spot is a local Tokyo park area along the JR tracks at the north end of Yotsuya Station. Even if you're by yourself, you can enjoy walking through the "sakura tunnel". Explore this perfect place and enjoy the experience of cherry blossoms floating in the wind and landing in your sake. Hanami Tip: No matter where you decide to go, try to plan ahead and secure your spot early. You can have fun hanging out and watching the other blossom viewers throughout the day! I worked in this area for several years, and the high point of each year was watching the blossoms on the trees gradually open during my lunchtime walks. 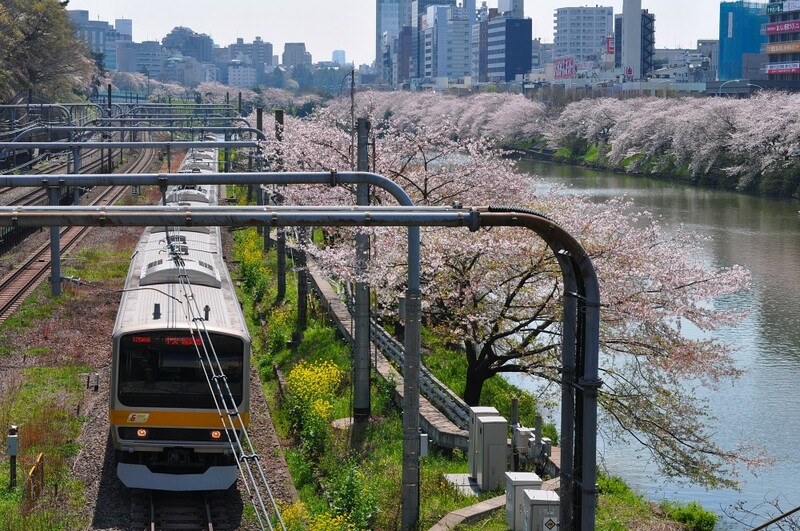 Cherry trees line both sides of the moat, along which the JR Sobu and Chuo lines also run (though the Chuo line doesn't stop here), and so you can enjoy the blossoms from a variety of angles. Coming out of the west exit of JR Iidabashi Station, if you turn left, walk as far as the first traffic lights and then turn right, you will soon come to a footpath along the top of the bank above the moat. The trees on this side are older and have a lot of character. This area is also a popular place for both students from the nearby universities and office workers to come for hanami parties, so you can observe the celebrations up close, but the ground area is small enough that they don't overwhelm the scene as they can in some larger parks. You will see a few benches here which people are not allowed to reserve for their private parties, so you may even be able to sit down and enjoy an obento (boxed lunch) under the blossoms. Hanami time is also graduation time, so if you are lucky, you may come across university students in kimono (traditional Japanese robe) taking commemorative photos. Eventually, you will come to a bridge across the moat. You can continue straight ahead the whole way to Ichigaya, but I recommend crossing the bridge and returning on the other side of the moat, along Sotoboridori. From here, you get a good view back to the other side, and can snap a photo of a train passing under the blossoms. Just before you get back to Iidabashi Station, you will come to the popular Canal Cafe, which has a terrace right on the water. Unsurprisingly, this spot is usually packed during the season, especially on weekends, so if you want to avoid the crowds, try exploring nearby Kagurazaka, where you can discover lots of quirky cafes and shops. If you want to observe the scene from an unusual vantage point, you can hire a rowing boat from beside the Canal Cafe, and drift under the cherry blossoms at your leisure. Of course, the boats are very popular during hanami season, but still this spot does not get as crowded as the more famous moat around Chidorigafuchi. Finally, if you are really pressed for time, you can ride the Sobu line and look out at the trees with the water beyond. Alternatively, you could do this in one direction and then walk back along the moat to return. Hanami Tip: It can often seem as though you will never find a free spot to sit down, even in a large park. However, if you come across a lone person on a large blue tarpaulin, surrounded by camping equipment, they have been given the job of bagging that spot for their fellow party-goers. If you are just looking for a place to enjoy a quick lunch, try talking to them and ask if you can "borrow" a corner of their tarpaulin. Their friends are probably not going to arrive for several hours more, and they might welcome someone to talk to, so they will often agree. A real hidden gem! I'm very lucky that Kichijoji's Inokashira Park is my local go-to when I need nature and greenery. (Or a coffee or two.) Home to Ghibli and some spectacular autumn foliage, Inokashira is certainly my favourite park in Tokyo. But here's the deal. A newer, younger park in neighbouring Nishiogikubo has made an entrance. Like Inokashira, she has a large pond, but hers is divided into two. She too attracts sakura but also features serene waterlilies, noble irises and water-kissed hydrangea. Cherry blossoms stage a grand entrance at Zenpukuji Park, literally, as a parade of the trees line the banks of the adjacent Zenpukuji River. 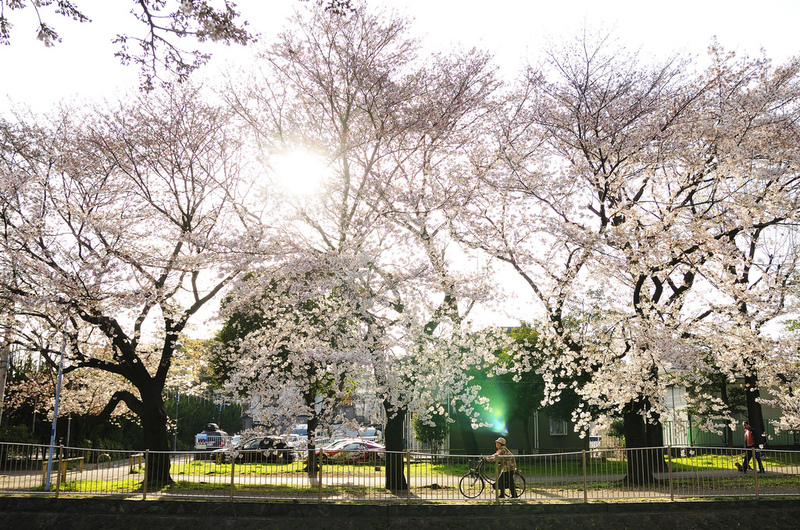 With ample space for picnickers, about 200 sakura trees can be found within the park itself. Although accessible by public transport, this park is somewhat off the beaten track. Zenpukuji Park is more a local hanami haunt and not overrun with visitors. I now prefer to celebrate sakura season here rather than at her more famous older sister. Hanami Tip: With no eateries or kombini stores nearby, BYO everything to Zenpukuji. Don’t forget the wet wipes, and remember, take all your rubbish home, too. Unlike most hanami spots, this one is not a park or garden for picnics with the famous blue tarps but a canal with roads on both sides. During cherry blossom time pedestrians take over the streets and stroll along under the gorgeous two-kilometer stretch of trees. Food stalls are set along both sides of the river and many of the quaint shops, cafes and restaurants get into the spirit of the season with special offers. Over the years Nakameguro, nicknamed "Nakame", has become quite trendy. I love this type of strolling hanami, great for people-watching. The flow of the throng is a part of the spectacle for sure! Both daytime and evening are gorgeous here as the river is also lined with pink, white and blue lanterns. Hanami Tips: Wear layers for warmth but nothing bulky. Especially in Nakame, seek out some of the delicious foods made by local food stands (not just the typical festival food). Be sure to have some hot wine or rose champagne. Both are readily available at a few spots along the river -- in fact, Moet Chandon has been a big supporter of the Nakameguro cherry blossom season for the last few years. The lanterns are turned off between 9-10 pm. This residential neighborhood endures a lot during hanami season so if you come at night, respect the community and don't stay here too late or be too loud after 9 pm. We hope you have fun exploring some of these hidden gems! Check out all of our other terrific cherry blossom information on Tokyo Creative and have a great hanami season!